As you enter your 50s and 60s, hopefully you find yourself coming face-to-face with retirement. You may also find yourself still in debt. You are not alone. In fact, nearly 70 percent of people over 55 are in debt. To really make the most of your retirement years, it is essential you do whatever you can to ditch your debt now. Still, it can be overwhelming to even know where to begin. Following these tips can help you pay down your debt before retirement. No one is saying you have to hole up in the wilderness or live in a tiny house. But what you do need to do is think about where you live and why. Give particular consideration to housing extras like property taxes and homeowners insurance. Typically, housing is the biggest expense in a budget, but people often only think mortgage payments when it comes to housing cost. 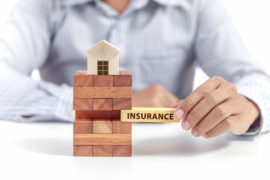 While many people nearing retirement age have paid off their mortgages, property taxes and homeowners insurance can still set you back tens of thousands of dollars a year. If you love where you live, consider downsizing to a smaller home in the same area. An added benefit to downsizing comes from the decluttering that is often necessary to move into a smaller home. Anything like tools or home goods might net you some cash on Craigslist or other online apps or even at a garage sale. The money you make from moving into a more affordable home and selling unwanted items can go straight to debt payoff. If you are willing and able to move, even relocating to a different city may make a considerable impact on not just the cost of a home, but property taxes as well. Reduced property taxes or more affordable homeowners insurance can free up money in your monthly budget that can then be used to reduce other debt. Of course, there are other housing options for the supremely adventurous. If you do not have strong ties to your current location, consider relocating to a more affordable state or join an expat community in another country. If retirement is on the horizon, you have likely made dozens of sound financial decisions. Just because something works well, though, doesnt mean there still arent better options available. 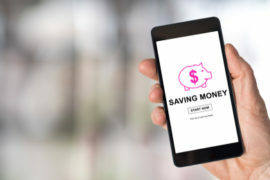 Thanks to technology, a few simple switches could save you a considerable amount of money that could be easily redirected to debt. One of the easiest switches is to consider your cell phone coverage and cable package. Switching to a low-cost carrier like Republic Wireless or Google Fi could slash your cell phone bill in half. 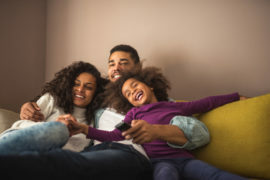 Exploring alternatives for cable could also put an extra $50 or more in your pocket each month. These two decisions could put an extra $1,000 or more back into your budget each year. Another option to get more for your money is to take your accounts online. High-interest online savings accounts pay 100 times more than the typical interest found at brick-and-mortar banks. 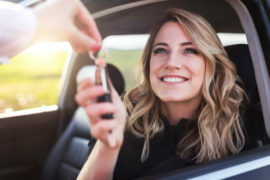 Additionally, you may also look into online options for pricing more competitive rates on insurance or even for maintaining your investment accounts. 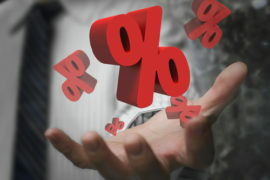 Low-cost mutual funds through online brokerages or robo-investors could save you a percentage or more in account fees. It may not seem like much, but 1 percent or 2 percent when its applied to a life savings can be significant. No matter how you use technology, the most important step is to make sure you bank the savings or put it toward debt. 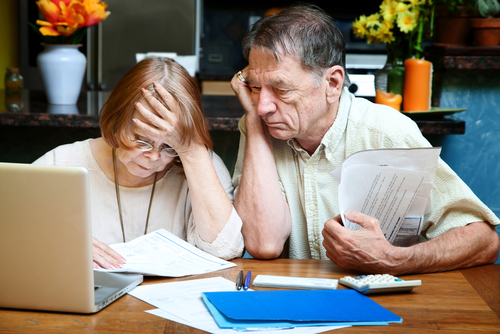 With estimates that nearly 75 percent of seniors are supporting their adult children in some capacity, it is important to look hard at your finances and your childrens. The instinct to help is second nature. However, the old airline safety rule applies to money as well: Put on your own oxygen mask before helping those around you. If you are in a position where you are helping out an adult child or another family member and you do not feel you can completely remove that support, think about scaling back. 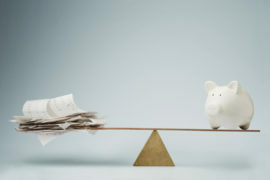 You can also try to lend your support by helping that individual create a budget or strengthen other financial habits. Even if you are not supporting an adult child or you are not a parent, it is vital your spending prioritizes your financial wellbeing. Consumer culture may have you in the habit of spending money unnecessarily. For instance, Americans say they will spend about $800 on winter holidays, $75 on the Super Bowl and nearly $40 on St. Patricks Day. Combine those totals with other holidays, birthdays, anniversaries and regular spending and it is easy to why so many Americans find themselves in debt. Stopping spending altogether is not reasonable, but scaling back is. Perhaps it is implementing a grab bag instead of buying gifts for everyone in the family. Maybe you give your presence rather than gifting presents. Or perhaps you take advantage of discounts and second-hand options. The thought of scaling back does not always sit well, especially if supporting others and spending big is habit. However, it is important to remember that loved ones want the best for you, just like you do for them. Prioritizing yourself is as much a gift to others as it is to you. Most debt payoff strategies advise people to create budgets, track monthly spending and grow the gap between income and spending. That is certainly sound advice. However, if you are in your 50s and 60s and staring at both retirement and debt, there are other considerations. 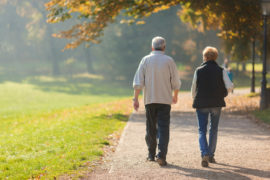 Evaluating your housing options, using technology to your advantage and prioritizing yourself can help destroy debt before you reach your golden years.